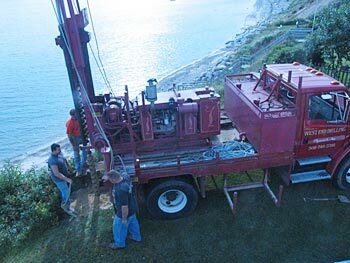 West End Drilling is a family owned and operated water well drilling and pump service company located in Plymouth, MA, and has been in operation since 1945. We focus on all aspects of water well drilling and water pumping systems for residential, commercial and irrigation customers. We offer design, installation, maintenance, repairs and related services on various types of wells and pumps; water storage tanks; soil sampling; water quality testing; and site inspections, evaluations and monitoring. We have the most modern drilling equipment available today. Along with our extensive experience, this ensures that our customers will receive a well and pump system in the most efficient, convenient and cost effective manner. 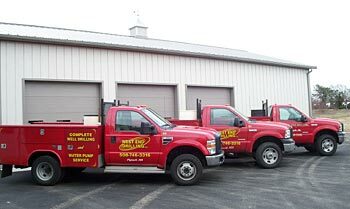 Our service department is one of the largest in the area. It consists of three fully stocked service vehicles staffed by trained technicians. This provides you with fast, friendly service in all aspects of pump installation, maintenance and emergency repairs. We also stock a large inventory of various pumps, water storage tanks and fittings for our customers' convenience. West End Drilling is fully insured and licensed with the Massachusetts Department of Conservation & Recreation. We are recognized by the Better Business Bureau for our outstanding customer service throughout the years. We appreciate your consideration and hope you feel confident with our years of experience and overall customer satisfaction. Please feel free to contact our fully staffed office 7 days a week to speak with a licensed professional with any questions or to request a free Estimate.